…and the other president you can thank for the crazy shopping afterward. Most of us associate Thanksgiving with the Pilgrims at Plymouth Rock, but Turkey Day wasn’t official until good old Honest Abe came along. Abraham Lincoln is the US president who made Thanksgiving a national holiday, and he did it in the midst of the Civil War. He proclaimed the first official national “day of thanks” on November 26, 1863. 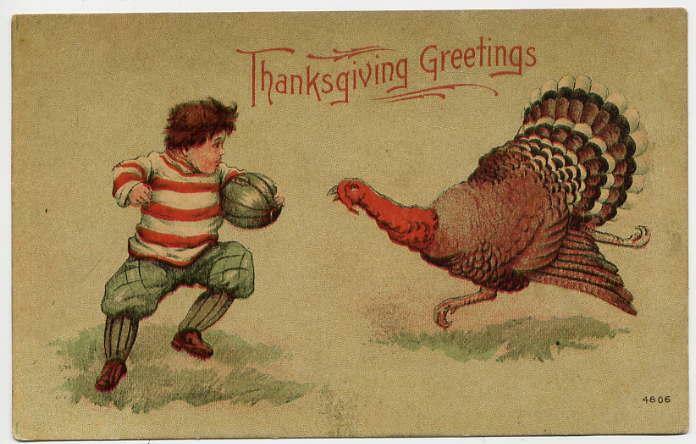 From then on, Thanksgiving was observed on the last Thursday of each November. Then in 1939, in the midst of the Great Depression, Franklin D. Roosevelt had an idea. November had five Thursdays that year instead of the usual four. So to help stimulate the economy and lengthen the Christmas shopping season by a week, FDR decided to change Thanksgiving to the fourth Thursday of the month. So while you’re waiting in line at the mall on Black Friday, you can thank FDR for those crazy discounts. Learn more about the first Thanksgiving, Lincoln during the Civil War and FDR during the Great Depression with three of our songs from Hip-Hop U.S. History.